INPUT (International Public Television Screening Conference), a non-profit organization of public television programme makers and broadcasters, organizes an annual conference to discuss and challenge the boundaries of public TV. The conference has travelled the world since 1978 and has been hosted by many public broadcasters worldwide, including Taiwan Public Television Service (PTS) in 2006. In recognition that a great many working TV professionals cannot make it to the main INPUT Conference each year, “Best of INPUTs” are held in more than 30 countries after the main event to allow greater access each year. PTS became a member of INPUT and held its first “Best of INPUT” in Taipei in 2004. In 2007, “Best of INPUT” went to Kaohsiung and held a 3-day event. During 2008, “Best of INPUT” took place in both Taipei and Kaohsiung for the first time. Since then, the event has been held both in these two cities for four years. Since 2012, PTS has decided to host the event in Taichung as well. In addition to Taipei and Taichung, we are heading to a third venue: Hualien in this year (2015), to make the event more accessible to audiences in Eastern Taiwan. To provide more comprehensive service of public broadcasting, the Legislative Yuan passes the Statute Regarding the Disposition of Government Shareholdings in the Terrestrial Television Industry on January 3rd 2006. On July 1st 2007, previously government-owned Chinese Television System (CTS) goes public, hence forms the Taiwan Broadcasting System (TBS). 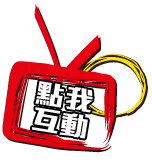 On January 1st 2007, Hakka Television, Taiwan Indigenous Television (TITV, withdrew from TBS in 2014) and Taiwan Macroview Television (MACTV) join the group to provide more influential public service broadcasting in Taiwan.